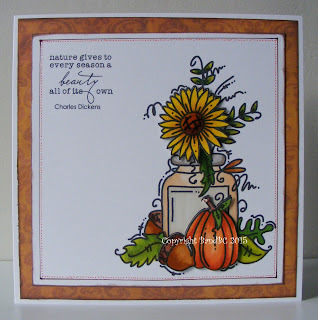 Bright and Breezy Crafts: It's definitely Autumn! My image is form Bugaboo and is called "Autumn Jar." I loved colouring this image with my promarkers. I decoupaged some parts...like the sunflower, the pumpkin and the acorn. which I thought completely suited the image. I wanted to keep this card clean and simple. I added a simple line and dotted frame, with a brown and an orange fineliner. Then, I finished by matting onto a backing paper and inking all the edges. Beautiful card! Thanks for joining us at Quick Quotes! what a wonderful card!! great job with coloring! thank you for sharing with us at Quick Quotes this month!! Beautiful card. Clean and simple but oh so elegant. Thank you for joining us at Crafty Girls Creations. Very pretty and love the colouring. 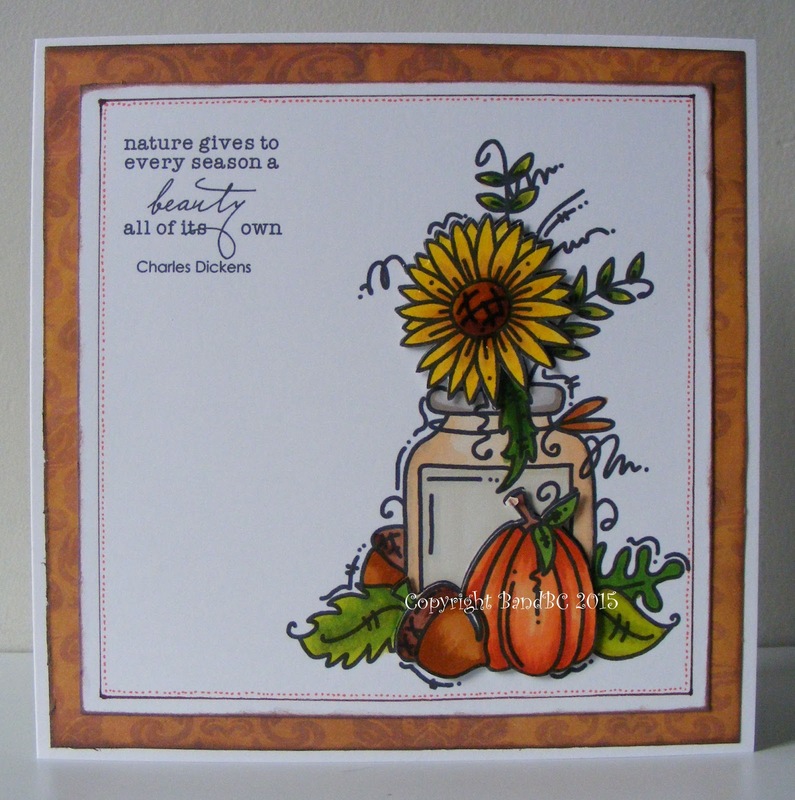 Thanks for joining us at Crafty Cardmakers and More for our Warm Autumn Colours Challenge. Fall is wonderful isn't it? Love your clean and simple version of this card. Great entry for Brown Sugar Challenges this week. Take care. Use some pink...and my blog candy winner(s)!